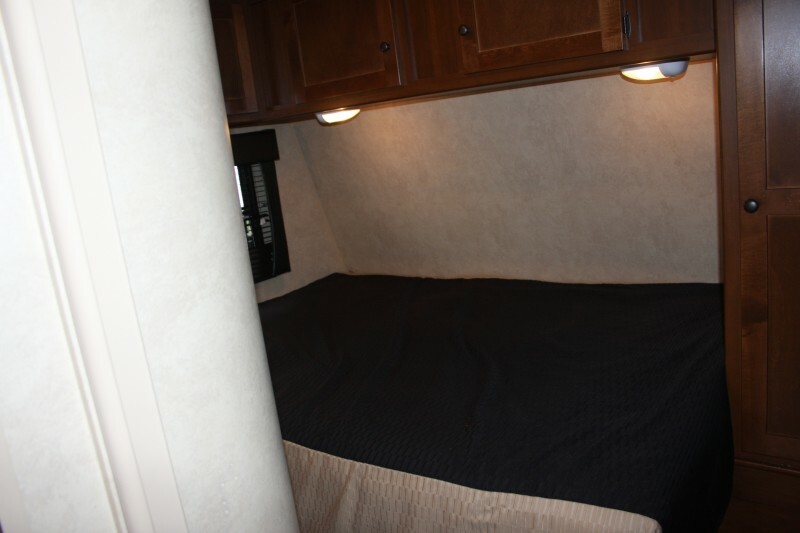 Dutchmen Rubicon: Another new Toy Hauler!! 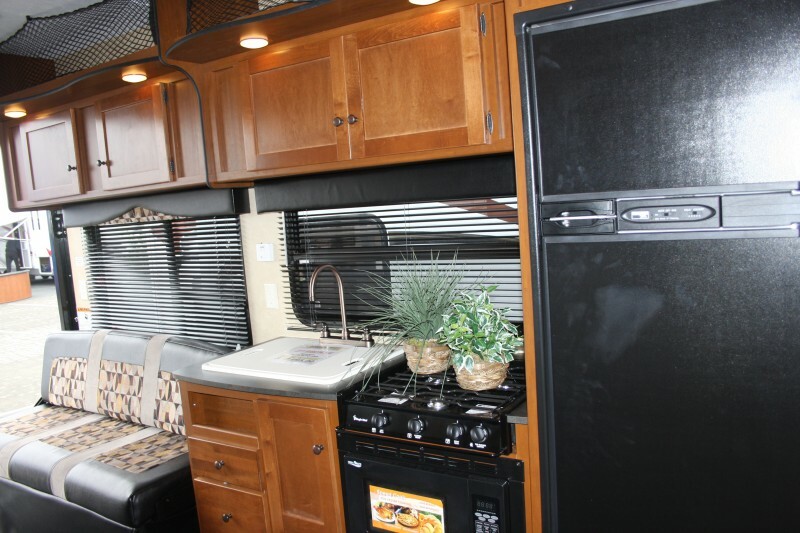 Dutchmen RV is coming back to the toy hauler market in a strong way. 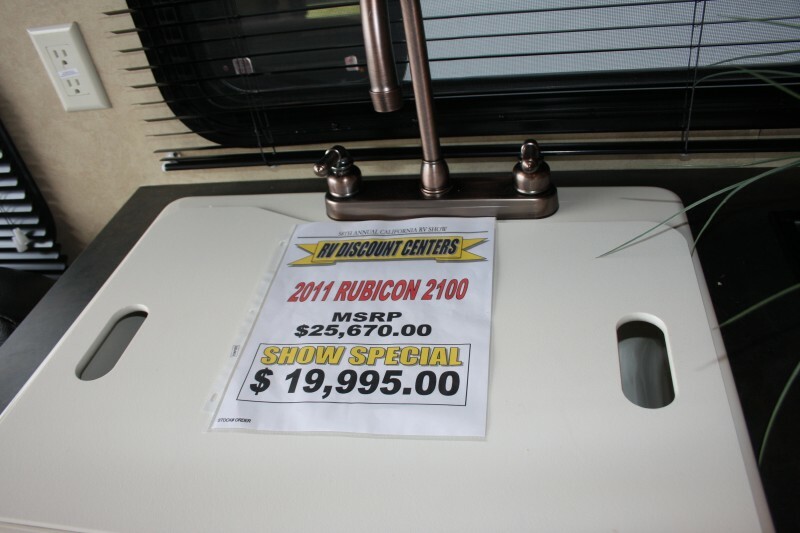 We just did a review of the high end Voltage line and at the California RV show I got to see the new entry level Rubicon 2100 toyhauler. 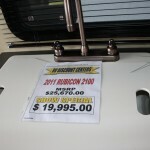 Rubicon is a new line of toy haulers and will include five floor plans ranging from 19 feet to 31 feet in length and will retail between $16,000 and $32,000. Rubicon is 102-inch wide body design; it has an 86-gallon fresh water tank, enclosed tanks and gate valves, an onboard 30-gallon fuel station, dove-tail cargo floor. 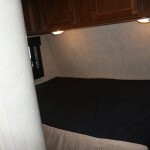 The interior looked very fine not like the customary low budget interior of most entry level trailers. The halogen interior lighting and the huge windows are also a plus. 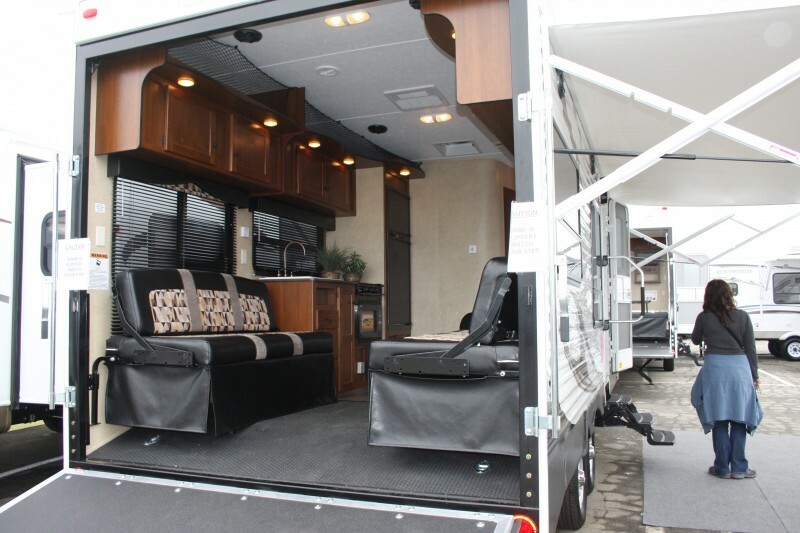 I didn’t spend a lot of time looking at this trailer (I was like a kid in a candy shop looking at all the new toy haulers at the show), but what I did see I was impressed. 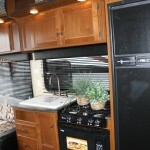 For a unit at this price point I would definitely give this toyhauler a look if you were in the market. I will do a thorough review at a later date, for now here are a couple of pictures. 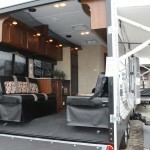 The website www.rubicon-rv.com/ is still under construction hopefully it will be up soon. • Jensen Speaker Upgrade w/Powered Sub.